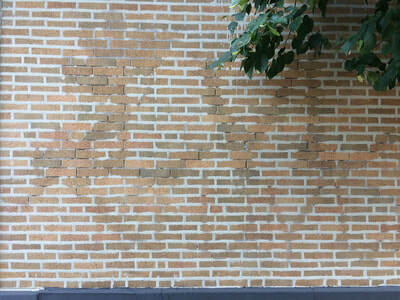 ​3 Simple Steps to Remove Graffiti from Concrete Walls and Concrete Sidewalks. 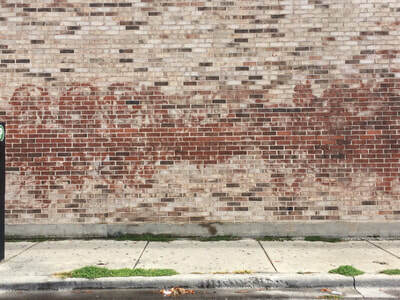 ​Tip #2 - Warmer is better. 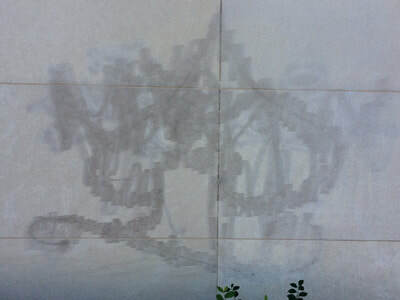 Heat helps to accelerate the speed at which the graffiti remover can soften the spray paint graffiti tag. 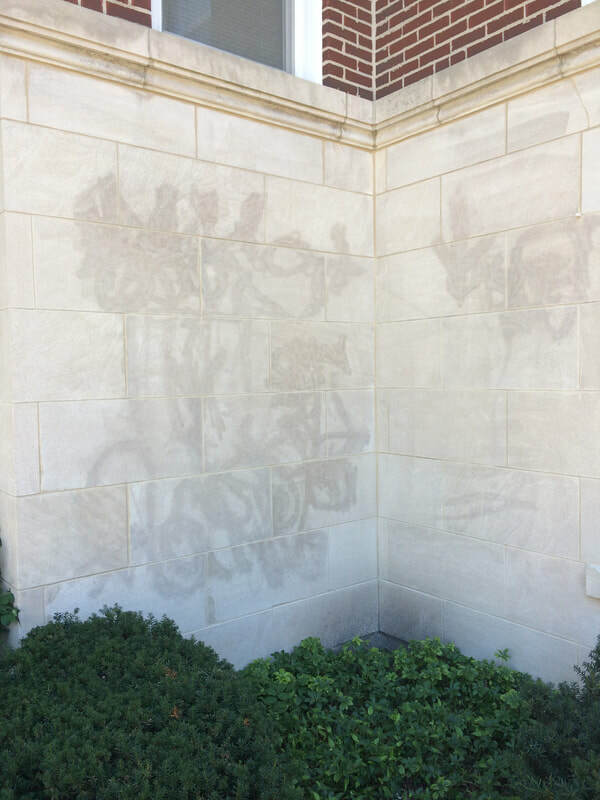 Graffiti removal is more effective when ambient temperatures are warmer. Summer temperatures allow more rapid graffiti removal. 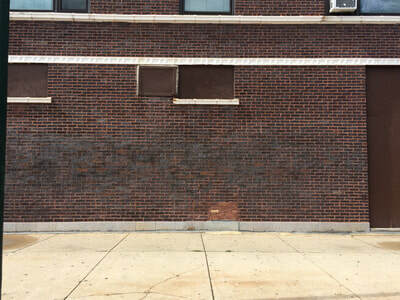 If in the Northeast or Midwest, expect longer dwell times during the cold winter months. 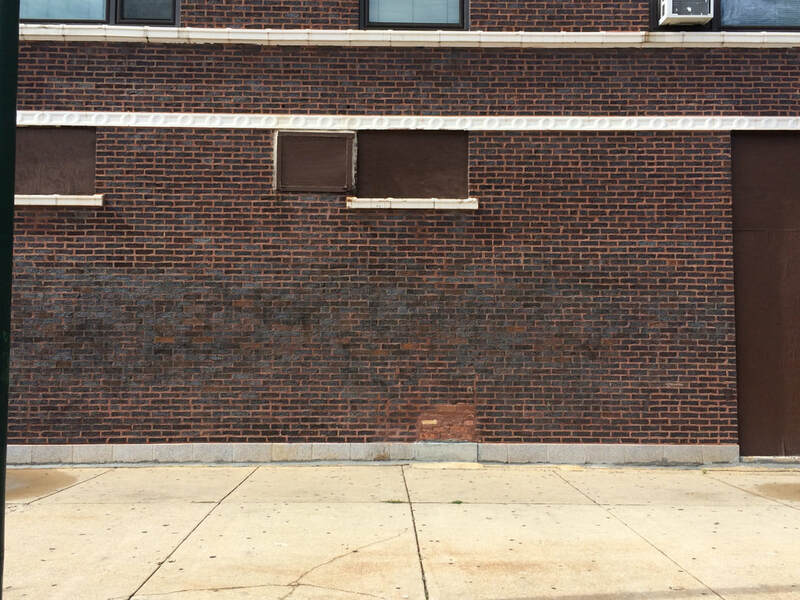 Tip #3 - Elbow grease to speed things along. 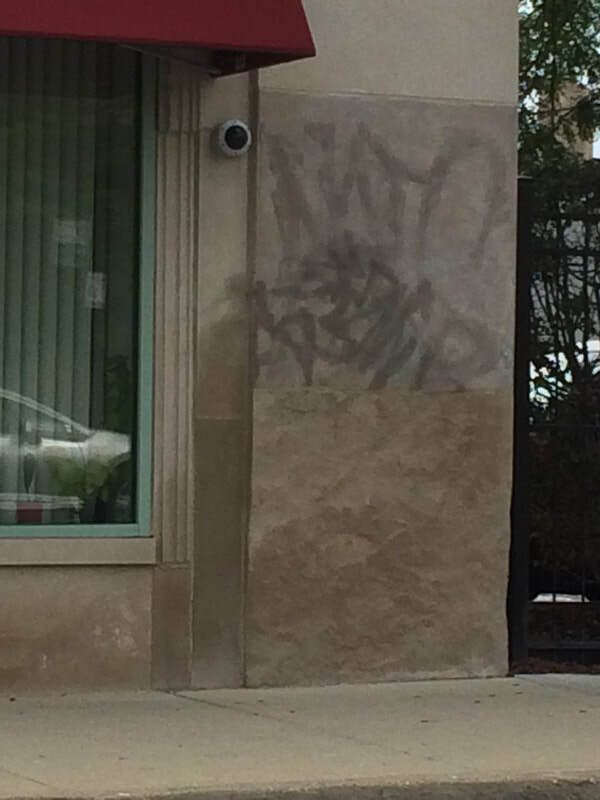 For small graffiti tags or if increased speed is required, scrubbing or abrasion with a stiff nylon bristle or brass bristle brush can be effective. 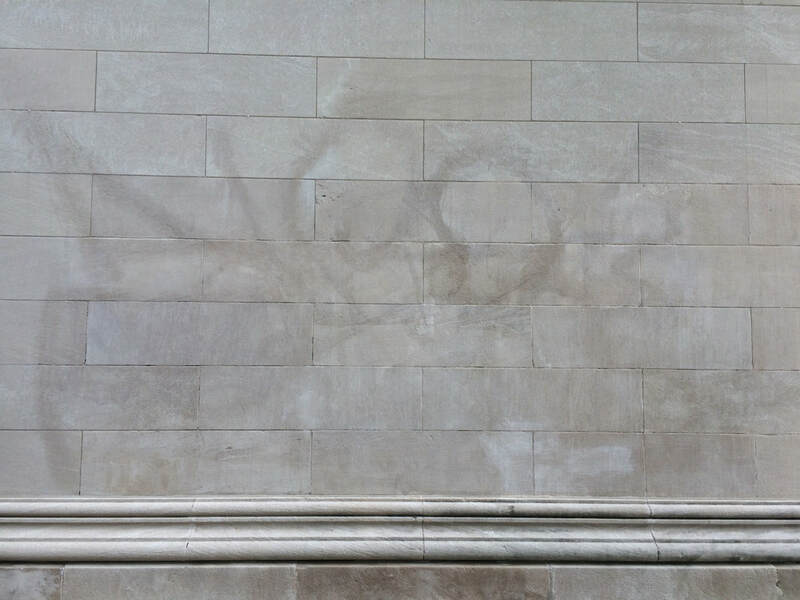 For thicker paint, or multiple layers of paint, scrubbing tends to move the top layer of paint aside, allowing the next layer of paint to be exposed to the graffiti remover. 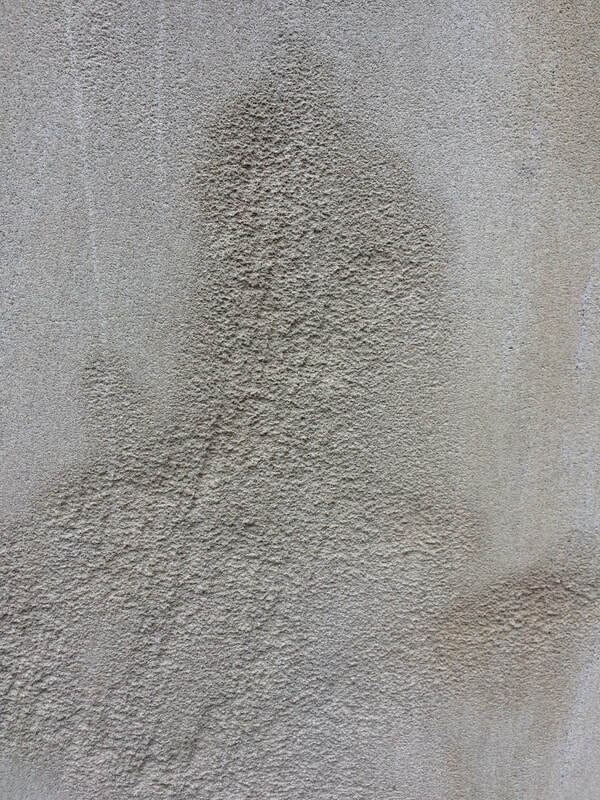 This technique is especially effective when applied to paints that were brushed or to remove thick drips of paint. Scrubbing also allows for greater economy as a single application of graffiti remover can soften multiple layers of paint before being rinsed. Extra care should always be taken not to damage delicate historic surfaces including brick, terra cotta and limestone. Tip #5 - How to avoid damaging concrete during graffiti removal and do no harm. 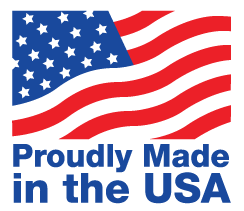 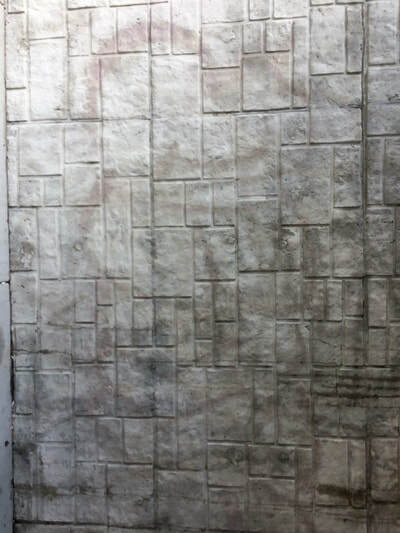 ​Concrete is a durable building material that is widely used on commercial buildings. 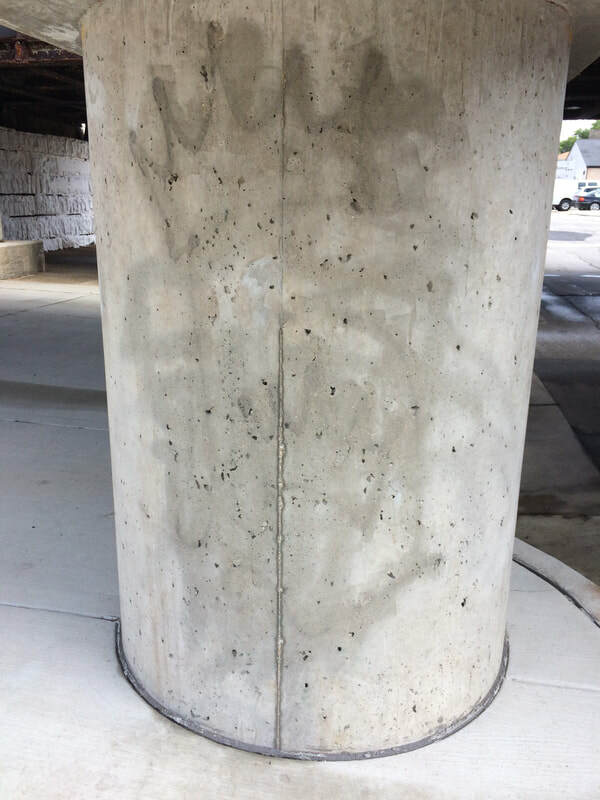 Fortunately, concrete is strong and able to withstand multiple graffiti removal cleanings using graffiti remover and pressure washer. 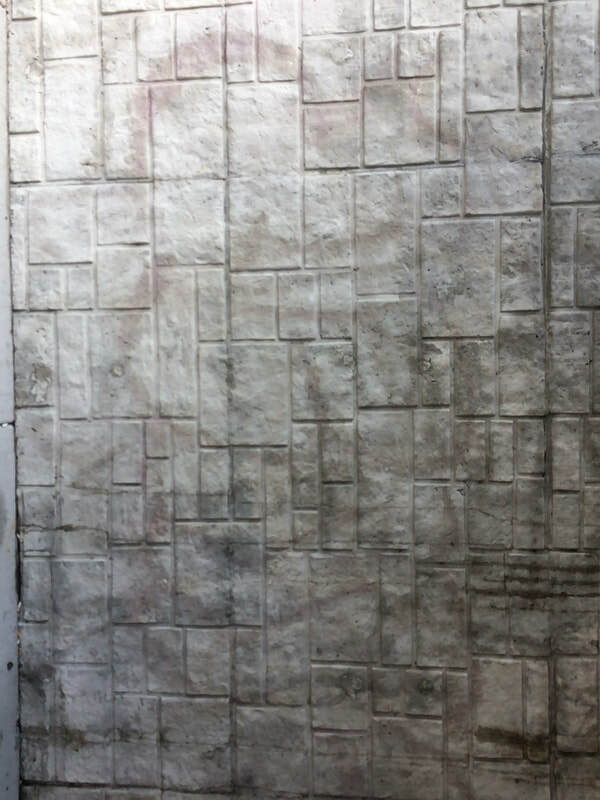 Split face concrete masonry units (CMU) tend to be more porous and is more challenging to remove graffiti from than poured in place concrete which typically has a denser composition. 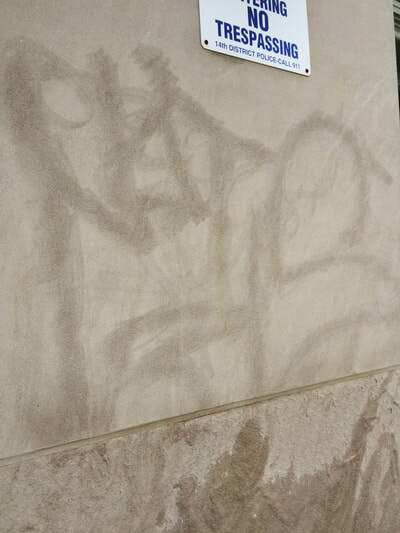 Smoother or polished concrete tends to be easier to remove graffiti from. 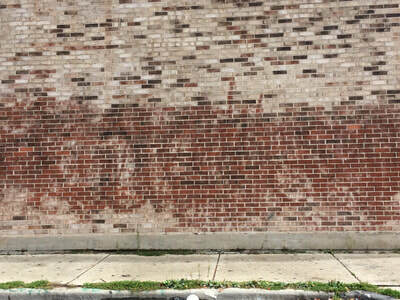 Many chemical techniques for graffiti removal from concretefail to remove all of the graffiti spray paint pigment. 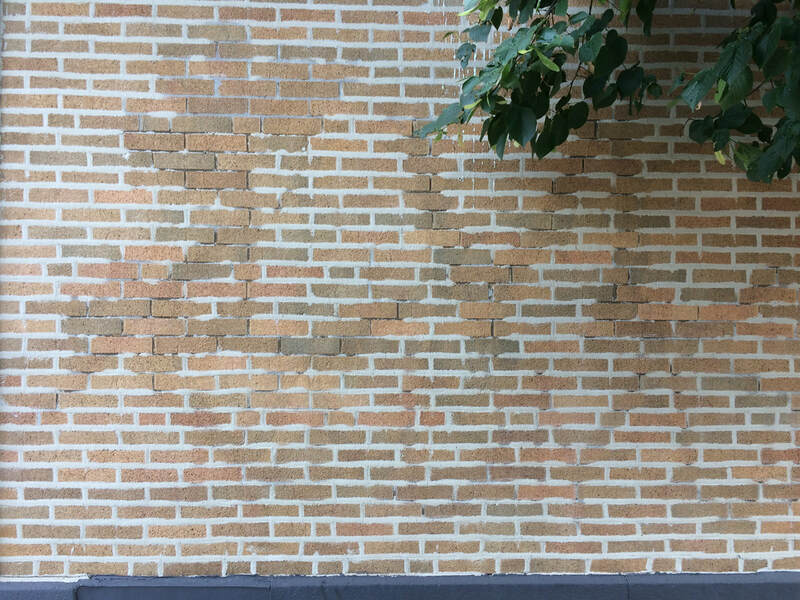 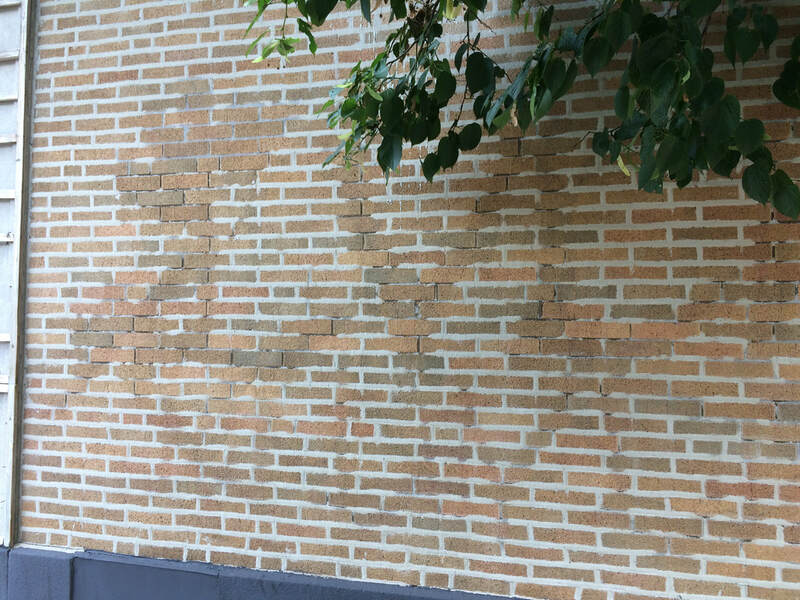 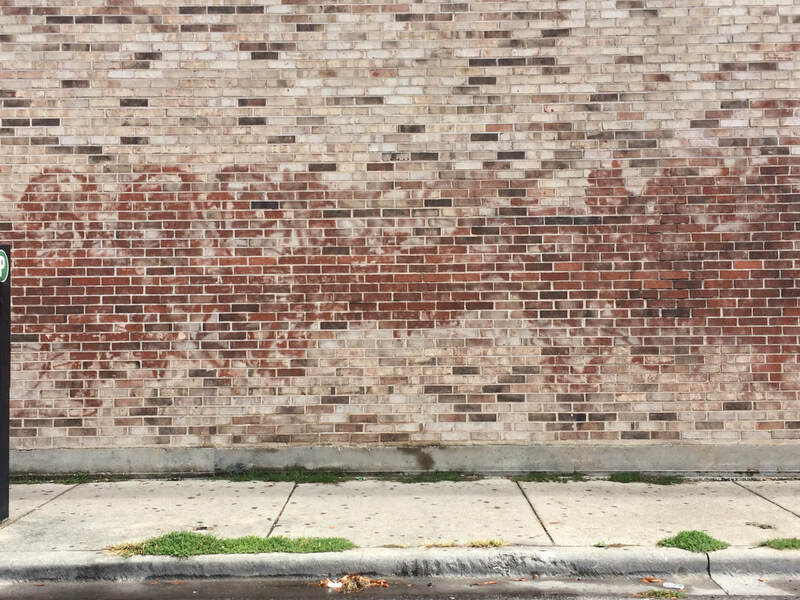 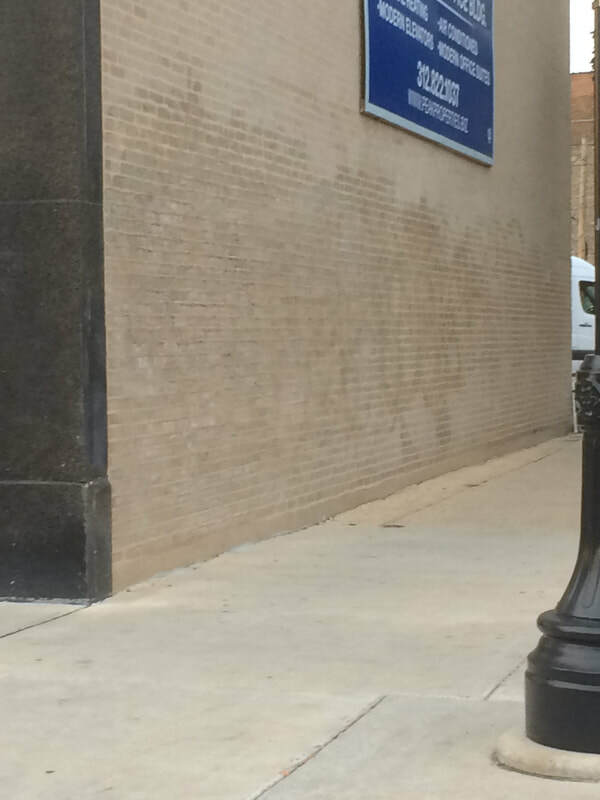 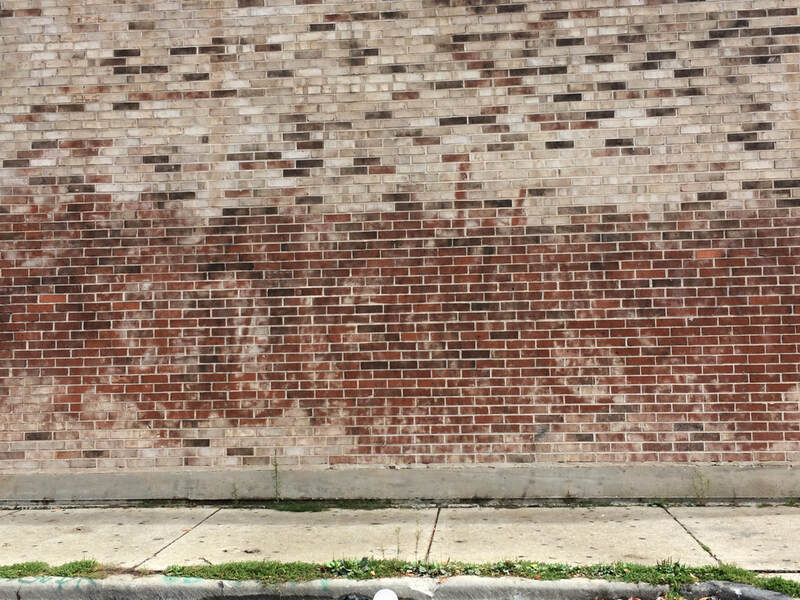 With uniform colored brick, if even a small percentage of graffiti spray paint remains bonded to the concrete, it is often visible to the naked eye, especially since concrete is a light uniform grey color. 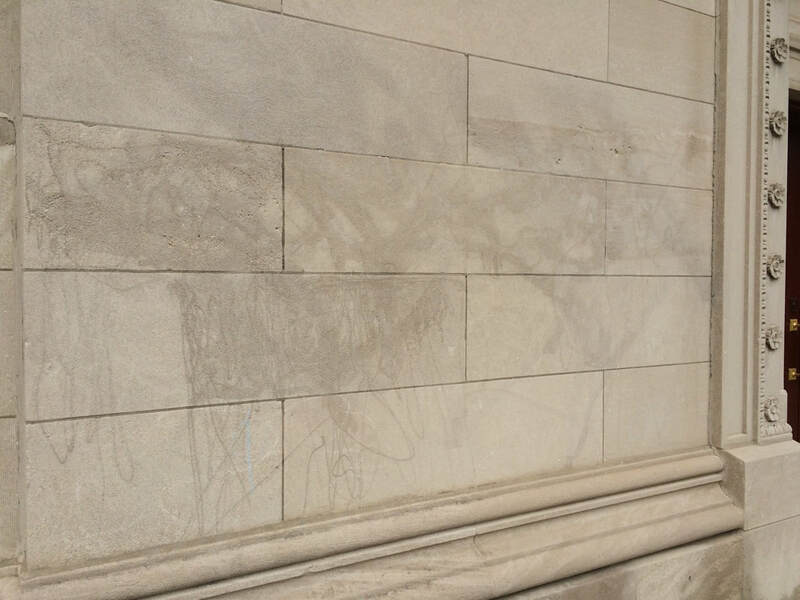 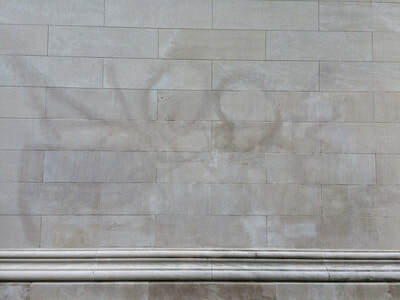 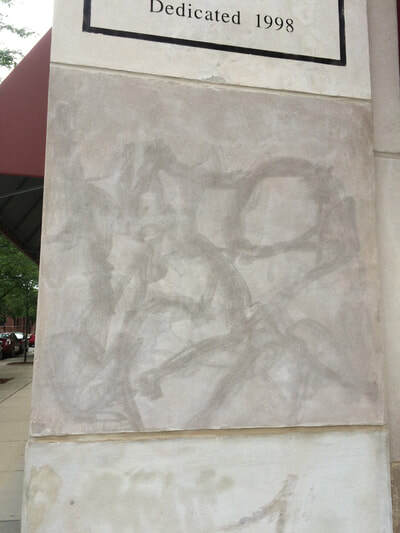 When graffiti spray paint remains visible after a partially successful graffiti removal, it is referred to as graffiti ghosting or graffiti shadow. 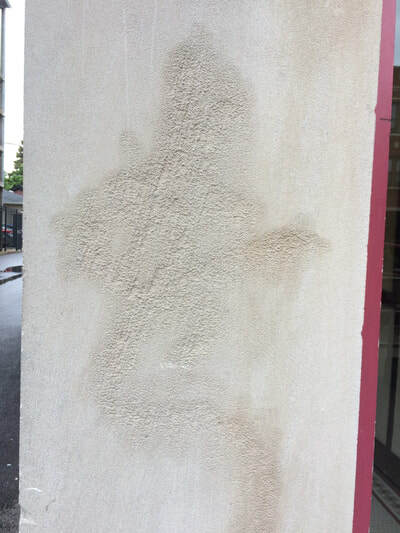 ​Concrete can be damaged by highly corrosive or highly acidic graffiti remover chemicals. Concrete can also be damaged by highly abrasive graffiti removal techniques such as soda blasting. 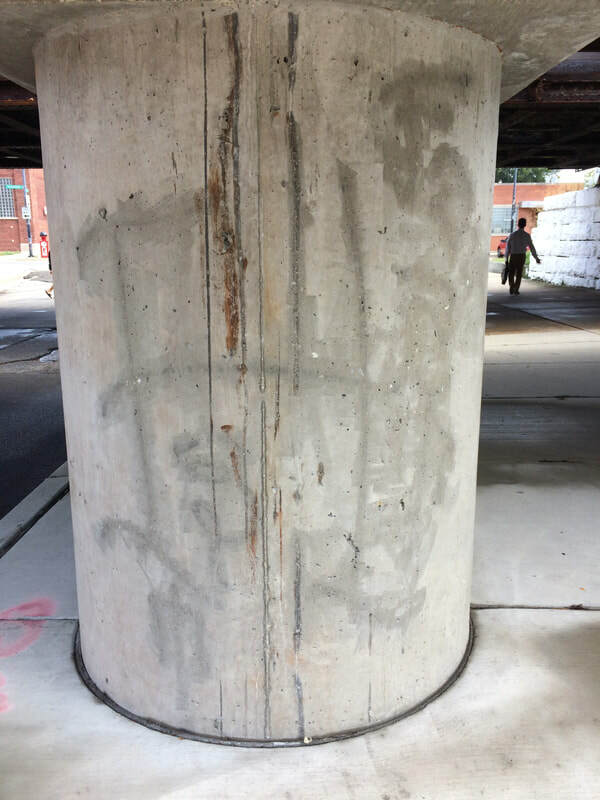 Once the concrete's hard outer layer has been eroded away due to acid or corrosive chemicals or intense abrasion, the more porous inner layers are revealed, making it much harder to remover future graffiti tags. 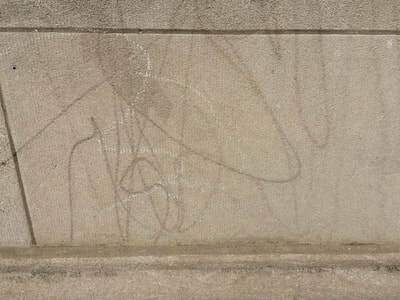 Concrete that have been exposed to graffiti and acid washed many times tend to be the hardest to clean graffiti from. 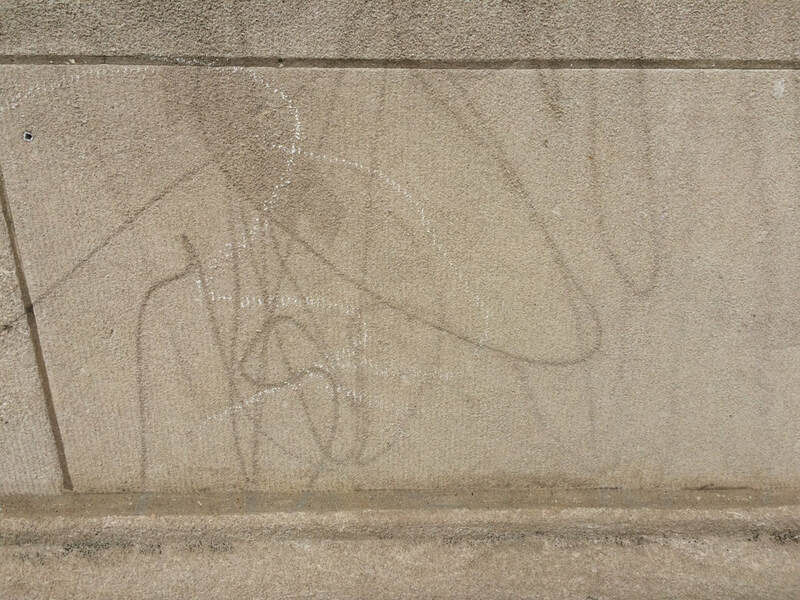 The spongy inner concrete tends to soak up water and graffiti more deeply. Concrete in this condition should be sealed or protected with an anti-graffiti coating. Most chemical graffiti removal techniques require a pressure washing following the application of the chemical graffiti remover. This is an important step which rinses chemical graffiti remover and any dissolved or broken spray paint from the concrete substrate. 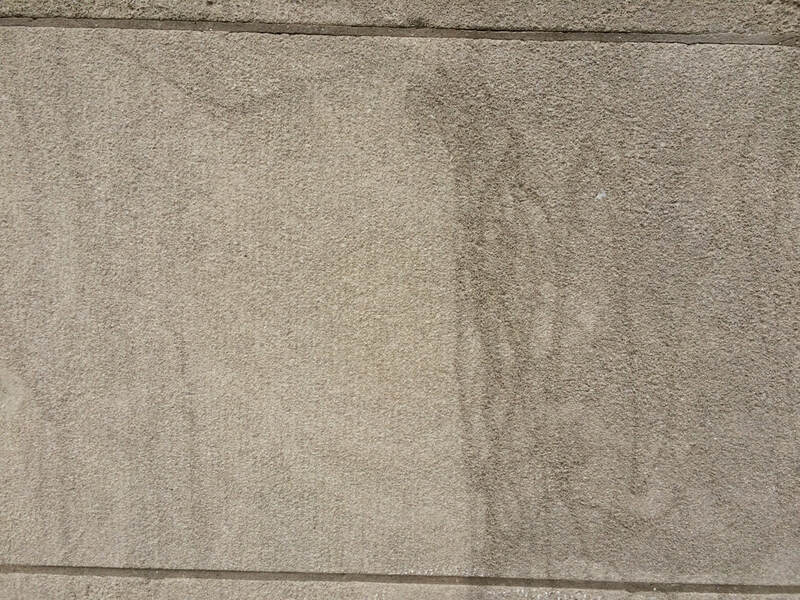 Care must be taken to reduce the PSI of the pressure washer so that the intense pressure does not damage the brick surface by etching away the top layer of concrete. 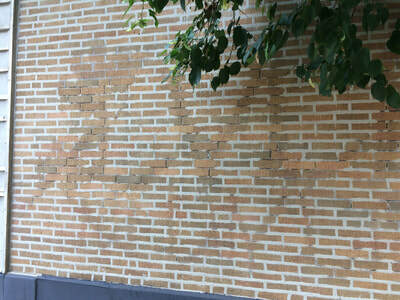 Etching damage can easily be caused by a red-colored zero-degree spray nozzle. 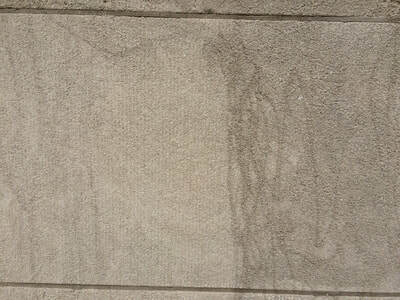 To avoid this, it is recommended to use a wide, fan-tip pressure washing nozzle such as a green 25 degree nozzle. 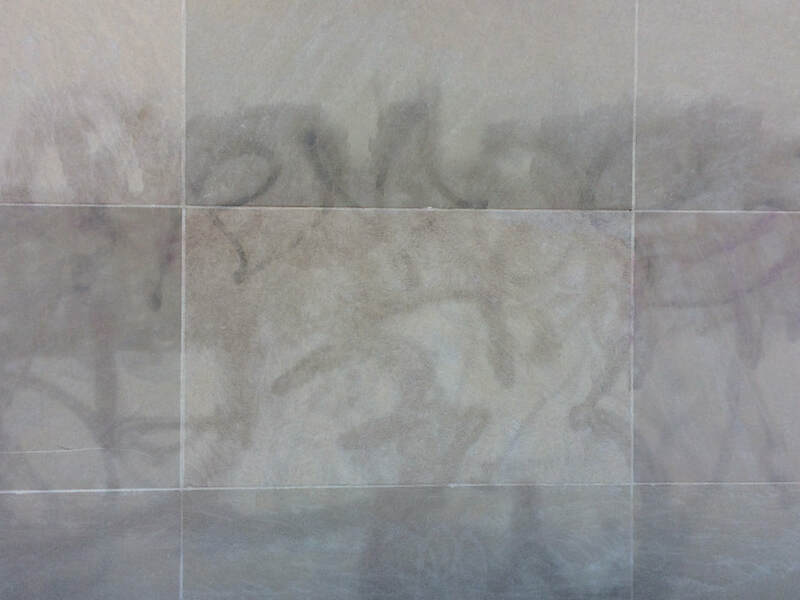 The wide fan tip diffuses the pressure and reduces the PSI on the concrete. 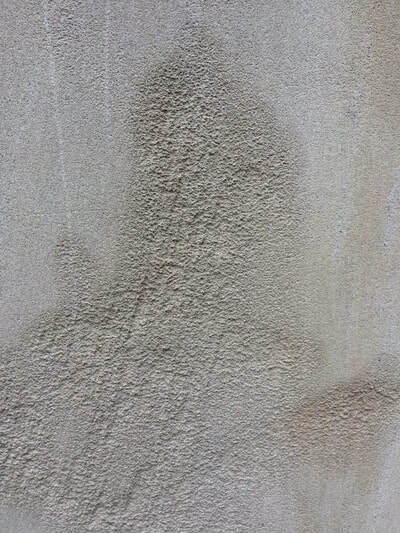 This reduced pressure decreases likelihood of causing permanent etching damage to concrete.